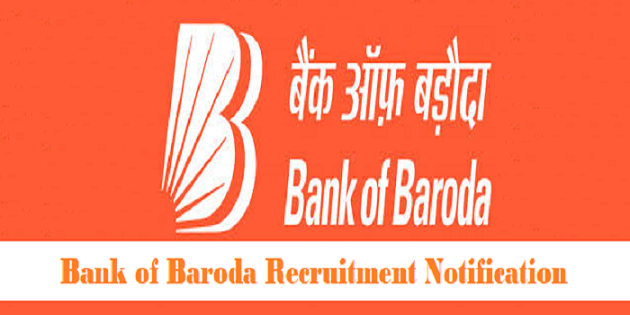 Bank of Baroda Recruitment 2019: The Bank of Baroda (BOB) has recently issued an advertisement for a total of 100 posts of SRM (Senior Relationship Manager) & Territory Head. So, all the eligible and Interested candidates can check the detailed information of the Bank of Baroda Senior Relationship Manager Recruitment 2019 & Bank of Baroda Territory Head Recruitment 2019 from the official website of Bank of Baroda and also from our this website, which has very clearly and conveniently shared every basic authentic details related to this exam of the Bank of Baroda Recruitment 2019. Should have a passing qualification of Graduation from any recognized University/Institute of India. Candidates have completed MBA or its equivalent from any reputed colleges will get preference. Should have at least 03 years of experience as a Relationship Manager in Wealth Management along with the leading Public / Private / Foreign Banks or (AMC) Asset Management Companies. Should have maximum experience in building & managing the relationship with ‘High Net Worth Clients’. Should have a Passing qualification of Graduation from any authorized University or Institution of India. Candidates possess MBA or its equivalent degree will be considered able for preference. Should have 08 years of experience in ‘Wealth Management’ out of which 02 years of experience should be as Team Leader. Every shortlisted candidate will be offered a handsome amount after the appointment. Step-1: Candidates have to open & register themselves online through Bank Of Baroda website on http://www.bankofbaroda.co.in/careers.htm and have to pay the application fee by using Debit Card / Credit Card / Internet Banking etc. Step-2: For filing the Application candidates is required to first scan their latest scanned photograph and signature. Step-3: The online application can’t be registered unless the candidate uploads his / her photograph and signature is clearly specified in the detailed guidelines of the official notification. Step-4: During the filing of the application form, candidates have to upload his/her detailed Bio-data as per guidelines of the official notification. Step-5: For filing the application, candidates should only follow the guidelines available in the link mentioned in the advertisement of the prescribed Application format of the Bank’s website http://www.bankofbaroda.co.in/Careers.htm. Step-6: before filling the application aspirants are advised to carefully follow all the instruction mentioned in the advertisement for filing the online application because after filing the entire application form and submitting no changes in this online application data filled will be considered. Step-7: Before submitting the online application, candidates can use the facility of “VERIFY” to verify all the details to make changes in the online application form and to modify the same if necessary. No change is permitted once the application is submitted. Step-8: Any visually impaired candidates will stay responsible for carefully verifying & getting the details filled in the online application form. This filing data have to properly verify to ensure that all are correct before submission as no change will be possible once the application form submitted. Step-9: The name of the candidate and his/ her father or husband name & identity should be spelled correctly in the application as is given in the certificates/ mark sheets. Any change/ alteration are found will immediately be disqualified from the candidature. Step-10: The online application, which after submitting it is found incomplete in any reason such as the attachment without proper scanned passport size photograph and signature uploaded in the online application form or the error in fee payment will immediately be rejected or will be declared invalid. Step-11: Candidates will apply for the recruitment exam in their own interest before the closing date and should not wait till the last date in order to avoid any possibility of correction/error/failure during login to the website due to heavy internet loading or website jam. Step-12: Bank of Baroda will not stay responsibility for the candidates can’t submit his/her application within the timing of the last date due to any reasons or for any other reason.